December 16, 2001 Atlanta Motor Speedway Road Course-For his 3rd start in Atlanta, Thomoose would try and tame the road course and answer the question-could a moose turn right? As expected, the course was new and challenging and the crew chief struggled with the setup. 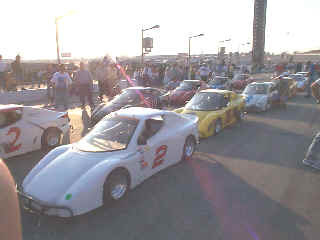 The biggest problem was traffic, because the road course was 1.1 miles long all Bandolero classes practiced together-50+ cars. In theory this was a good idea, but in reality it was a big mess and somehow we would find our way into it. By the last session Thomas had gotten the hang of accelerating through the sharp turns but turning right was still a problem. In one right hander he turned the car around and was broad sided by another car, it bent the rear frame horns over to the point that the body would not go back on. No body, no problem, however, the start of the race would be even more problems with Thomas being turned around before the green flag and taking up the tail end of an 18 car field with no caution. By the end of the first lap he had worked his way back up to 10th and in a few laps was challenging for some more spots. He and another car got together in a tight turn and the Moose came out on losing end, again. Thomas managed to soldier home an 11th place finish but not without a lot of work ahead for The Outdoor Channel Bandolero. It will take a few more times on the road course for us not to be road kill. Turning right was a new experience on the road course. Thomas even tried to get the set up right. 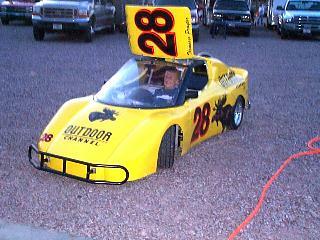 Practice took its toll on the Outdoor Channel Bandolero, with the back end being knocked off. On the grid ready to go. November 17, 2001Atlanta Motor Speedway. 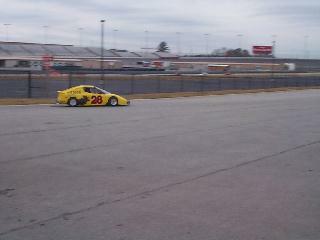 Thomoose returned to Atlanta for his second start at Atlanta Motor Speedway after the ARCA Race on Saturday. Because the race was at the Speedway and was the Saturday before the Cup race, the field was scattered with Winston Cup offspring, Martin, McReynolds and Pressley to name a few. 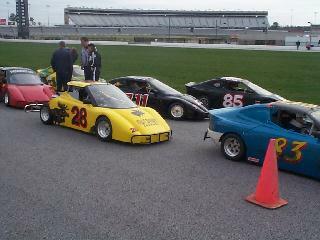 The field was set by draw and Thomas started behind Mat Martin (Mark Martin's son), in the 11th position. 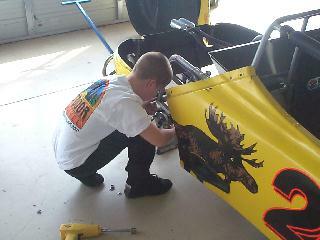 The car had been lose in practice and we made a last minute adjustment to tighten it up. From the drop of the green flag Thomas was on the move picking up spots, he dodged a big pile up with some lapped cars and moved into 3rd place. After the long caution the car was lose again and he dropped back a spot, as the race continued the car continued to get loser but he kept digging, finally on the last turn of the last lap the ill handling car got away from him and it cost him 5 spots for a 9th place finish. 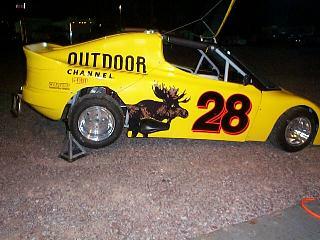 The Moose was too lose this trip but we plan on returning to Atlanta to race the road course in December. Can a Moose turn right? 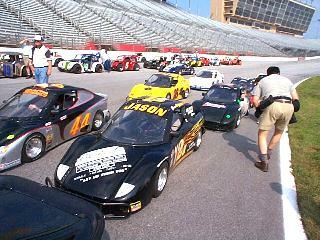 With the race the day before the Winston Cup Race there were a lot of Cup sons in the field. Thomoose started behind Mat Martin. 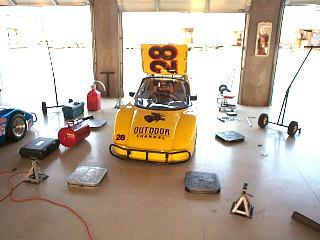 August 2, 2001 Atlanta Motor Speedway. The good runs at Sunny South set the stage for Thomoose's first road trip. The Atlanta Track is a lot different than Mobile, its part of Atlanta Motor Speedway (where NASCAR & ARCA race) and part of pit road connected by turns. Without any track time we guessed at a set up and the car was really loose, we kept working on it all night long to find something to tighten it up. To make matters worse, the guys we were racing against had been racing all Summer long, plus it was double points night to settle this years Champion. To say the crew chief felt out gunned was an understatement. Thomas had the pole for the first race and led the field into turn one when the car pushed up and let 4 cars get underneath him. They ran nose to tail like that for the rest of the race and he finished 5th. 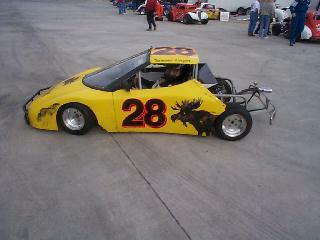 Thomoose started in the middle of the 18 car feature field on the 6th row. As the guy who has to fix his cars I wasn't real excited about our starting spot. 20 laps later Thomas emerged with a tenth place finish in his first National Event and some new tire marks on the Outdoor Channel Bandolero. You can tell by the gear laying around the car we had along night trying to find the right set up. This picture shows how different the track is. The waiting area to go on the track is Turn 4 of Atlanta Motor Speedway. Rolling out of the Busch garage. July 27, 2001, After testing at Sunny South Raceway on Tuesday, Thomoose cut a full second off of his testing times and set the new track record of 14.62 seconds. 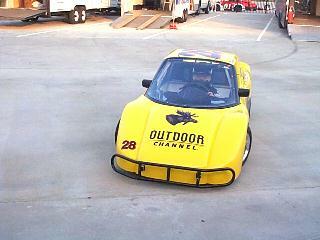 Early practice on Friday had the Outdoor Channel Bandolero hitting the rev limiter half way down the straight-aways. A gear change before qualifying and some fresh moose juice (gas) gave Thomoose the extra boost he needed to set the new record. 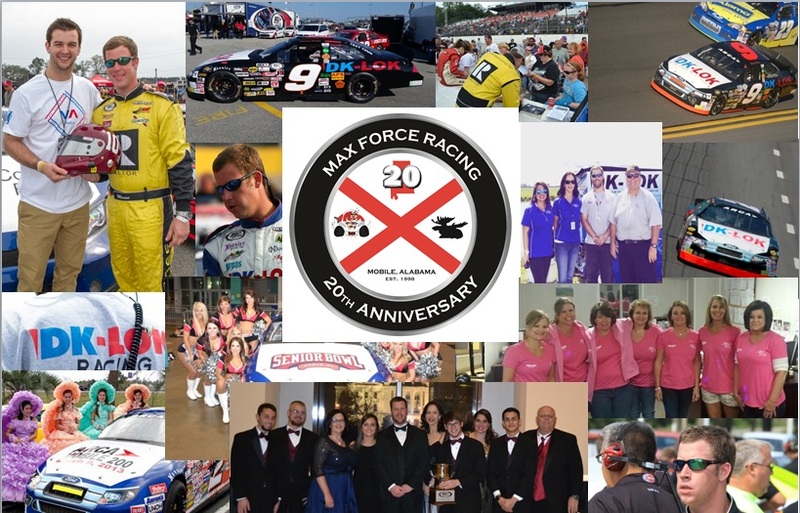 This Thursday he'll make his first appearance at Atlanta Motor Speedway. Look out the Moose is LOOSE! Thomoose ready to come out after setting the new track top speed. Even after a gear change he was still hitting the rev limiter.